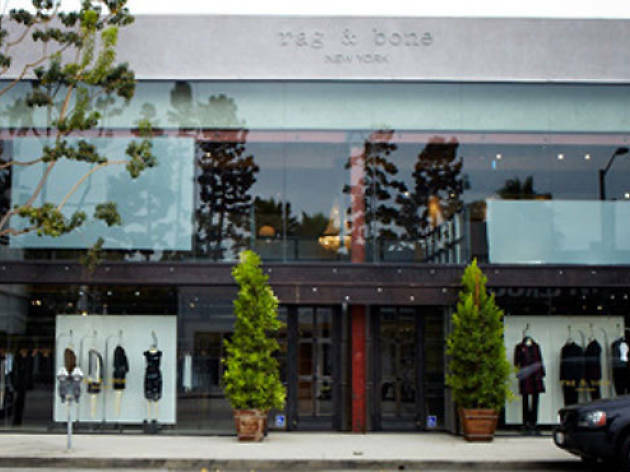 With no formal fashion training, it's with sheer talent that the British design team behind Rag & Bone, David Neville and Marcus Wainwright, have created a wildly successful and coveted fashion brand based around well-tailored, edgy basics. 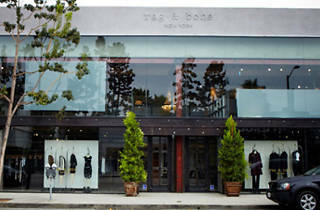 The LA flagship, one of their largest stores in the world, boasts 9,000 square feet of space, with the lower-level offering 4,000 square feet of retail and the upper level dedicated to event and showroom space. The boutique is a one-stop shop for the New York–based brand's extensive collection of menswear, womenswear, bags, shoes, accessories and their popular Rag & Bone Jean line of denim and basic t-shirts. With exposed brick, wooden beams and raw concrete floor, the industrial-chic space is flooded with light, giving it a New York loft feel, but the most delightful aspect of the building might be the 11 free parking spots in the back.